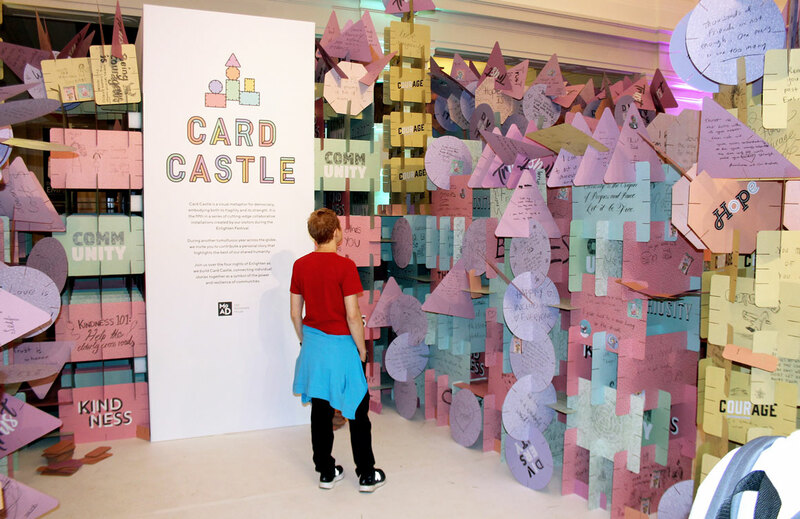 Card Castle was an interactive event running over four nights in the Museum of Australian Democracy at Old Parliament House during the 2018 Enlighten Festival. 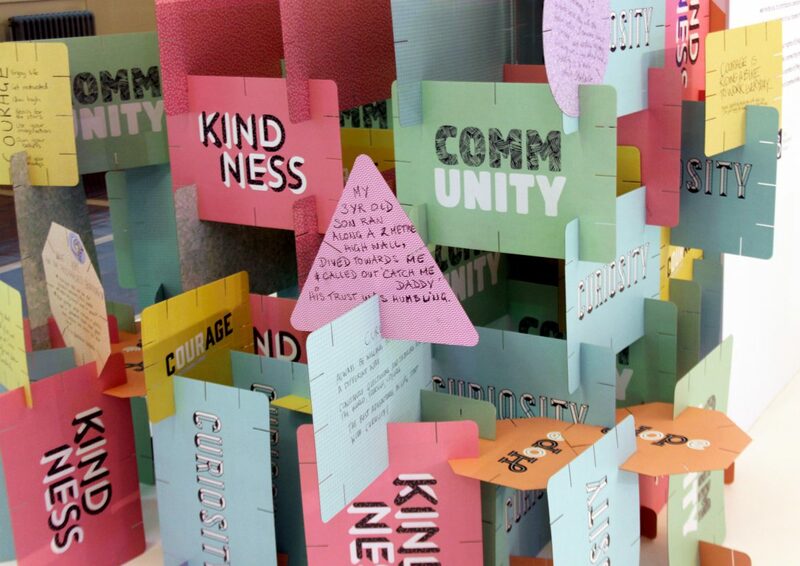 The client’s concept was a collaborative art installation built by visitors. 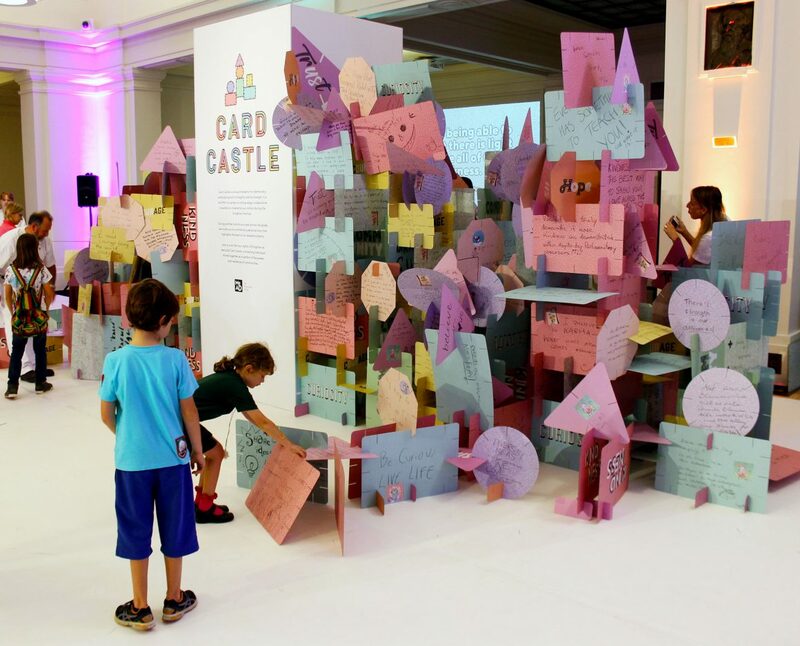 Each visitor chose a themed card, wrote a message around that theme and then added it to the castle. Just like democracy, the card castle was ever-changing and made up of many voices. Our job was to draw up the five shapes for fabrication. The shapes needed to fit together in endless combinations; be rigid and robust yet safe and easily handled by visitors. We worked with the MOAD project team to refine the shapes and sizes, select materials and maximise the number of shapes that could be produced per sheet. 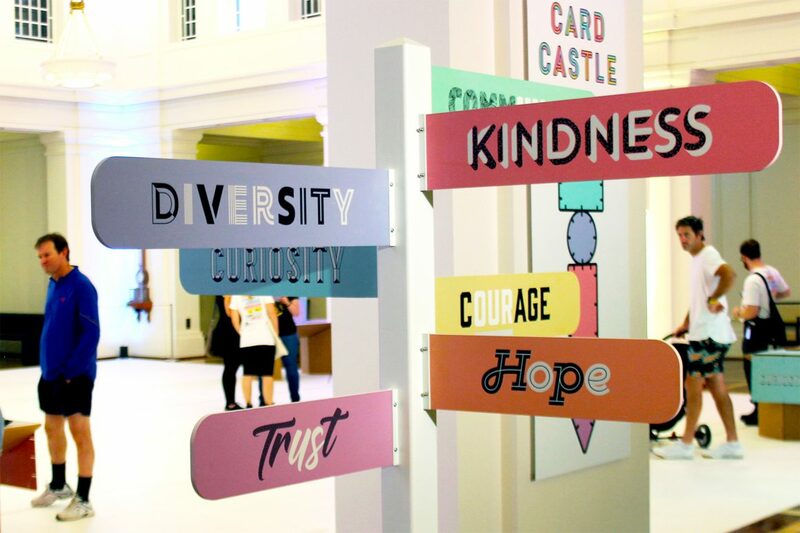 We also designed two signposts which mimicked the proportions of street signs and pointed the way to the seven key themes of this event. The interactive was a huge success, with over 6,000 visitors attending on the final night alone. The cardboard shapes slotted together perfectly and stayed looking good throughout the festival.